With the tremendous help from the Community payback team and all of our generous funders we have transformed the Garden at The Speakers into two distinct sections. The first is a communal space for all to use; mainly laid to lawn with benches and tables and chairs, this is the informal part of the garden for all to enjoy on a nice day. The second space is reserved for MOF members who are renting one or more of the 6 raised beds we have created where flowers, vegetables, fruit and other plants can be grown alongside a shed and a small greenhouse. Because gardening is an all year round activity, and can be weather dependent, the gardening group does not have a set day or time. 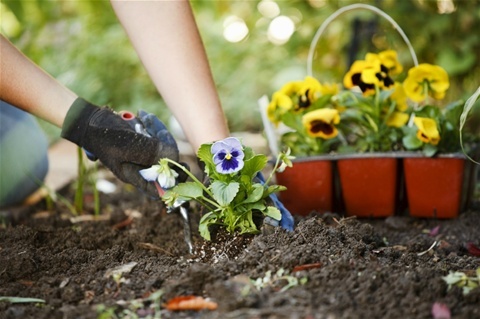 Our members are able to come and go, working in the garden at whatever is required, whether it be planting, weeding, dead-heading, tidying or just sitting and enjoying the peace and tranquility. If you'd like more information or to put your name down for a raised bed (or when one becomes available), please contact Maureen McElroy who is leading the Gardening group. Garden update May 2017: All but one raised bed are now rented, and already new plants are beginning to sprout everywhere! If you want the last one please contact Anne Walker or Maureen McElroy to get your name down. Garden update April 19th 2017: Fantastic news - The greenhouse is now erected, the raised beds are built and we are ready to start renting out the raised bed plots. So If you are interested in growing your own (flowers, fruit, vegetables or whatever) the raised bed rental will be £10 per year. Please contact Anne Walker to book your plot. First come, first served. Garden update March 8th 2017: The shed was delivered and installed last weekend. Things are really beginning to take shape. 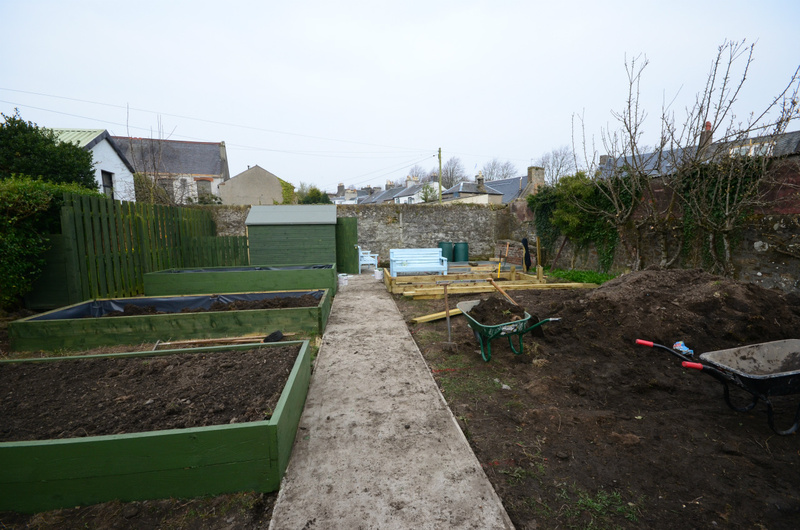 The greenhouse will be arriving soon, and also the raised beds will be constructed. Garden update Dec 2016: In recent weeks a new path has been laid in the garden and also new fences and gates have been erected to separate the lawned/grassy area which will be open to all and the rear section which will be reserved for members to grow their own produce. We are pleased to announce that we have secured funding to allow us to purchase both a greenhouse and shed which will be installed to the rear of the garden. A landscape designer from South Ayrshire council has developed a plan for the rear section of the garden which will incorporate the shed and greenhouse together with further pathways and accessible raised planting beds. We are hoping that this rear part of the garden will completed early in the New Year. We will then be in a position to offer our members the opportunity to take on their own raised bed in which you can grow your own garden produce (plants, shrubs, flowers, fruit, vegetables) in a similar fashion to the way it works in council allotments. If any members would like to take up the opportunity to 'rent' a raised bed (£10 per year for MOF members), please contact Anne Walker to put your name down.